We have waited a long time for this moment. Pink - no matter what your soil type. $1 of each plant sold is donated to the Breast Cancer Research Center. 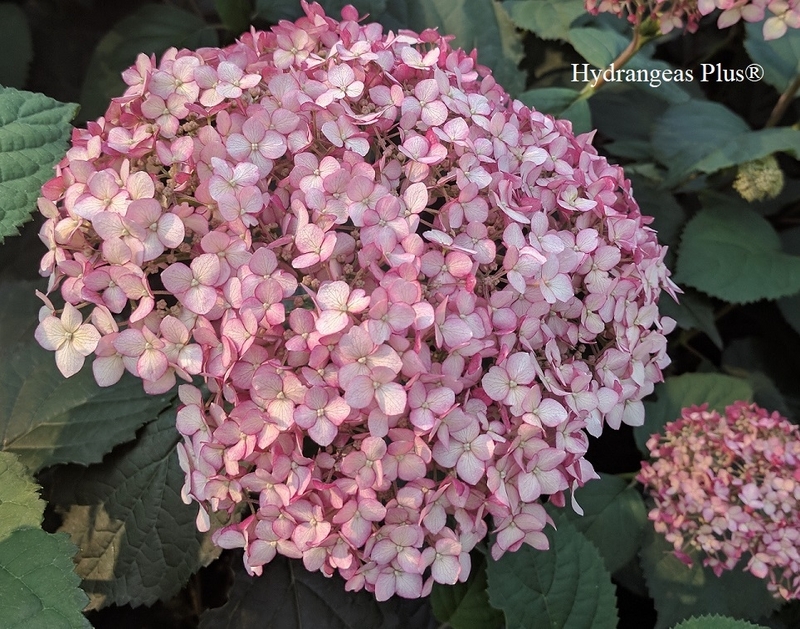 Bloom heads hold up well in late spring rains. This is a great re-bloomer, too. First blooms are large and develop shades of pink until the bright pink you see in the photo. Aged blooms turn slightly green. Like other Arborescens, easy to bloom year after year and blooms late Spring to first frost.